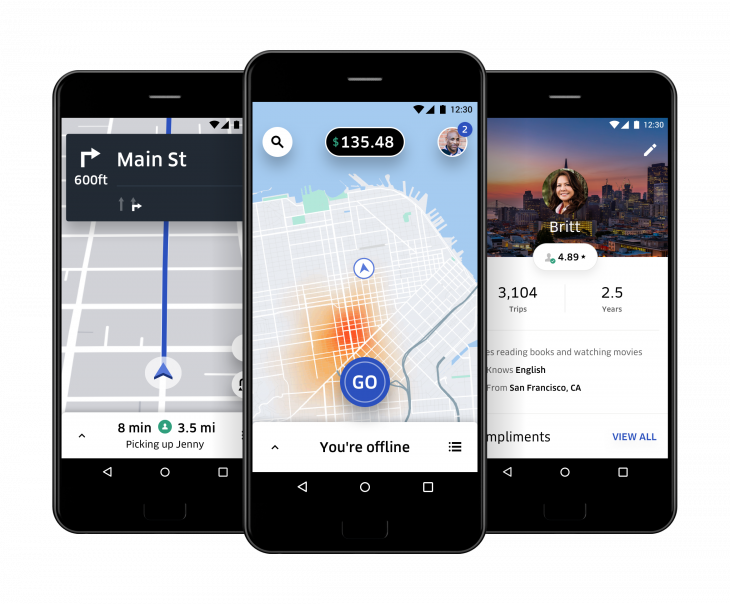 The new Uber app for drivers has been launched. But what is new in it? App launches are happening every week, right? Well, the new Uber app will be making rides smoother for drivers. Uber says it has built the app after experimenting with over 100 driver and courier partners in Bengaluru. “Our teams spent time on-ground, interacting with partners through group sessions, ride along and in-person meetings to gather inputs. Every piece of their feedback was important and it was incorporated into building an app that meets their needs,” Pradeep Parameswaran, Head of Central Operations, Uber India and South Asia. The app will be available for selected drivers in India followed by a larger rollout all over India. Further, the app will be rolled out in phases with an initial launch in Kochi and Chennai. Dara Khosrowshahi, Uber CEO, said in a blog post “Drivers’ opinions shaped the app for the better. After over 100,000 trips, thousands of conversations, and many bugs reported (and fixed! ), we’re excited to share the product of our partnership: a new app built for drivers, with drivers“. The app features an “Earning tracker” which will let drivers keep a track of how much they have earned on their previous trip. The app will also feature real-time updates of market conditions around drivers. Drivers can even see opportunities for more trips around themselves. To do so, they can simply tap on Opportunity and the app will open up navigation to the area, where more rides can be taken. This new feature will help drivers to earn more rides, will little effort. Moreover, the “Notifications” feature will enable the drivers to see messages about upcoming earning opportunities and feedback from riders. The new app definitely seems to provide a much better experience for Uber drivers. Furthermore, the design has been overhauled which gives a much better easy to interact interface.